With the recent explosion of fish oil in the health and nutrition market, it’s no wonder people are going crazy to get their hands on the best supplements to give themselves a health boost. There are literally hundreds of different brands and types available today. But read our guide below and you won’t be baffled any more. So, Are All Fish Oil Tablets The Same? If you shop around, dig in to the details, and start reading about the ingredients and manufacturing processes, you will quickly see the differences from one fish oil brand to another can make all the difference. It’s important to know that the type and grade of fish oil will vary from one brand to another. Find out exactly which type of fish oil it contains because prices and health benefits vary greatly. Cod liver oil is the lowest grade from all of the fish oils available today and should be used minimally if at all. It has the lowest concentration of Omega three fatty acids. The main problem with cod liver oil is the high concentration of Mercury, Vitamin A and other potentially toxic matter. Although it does have a very high dose of Vitamin D, which can be beneficial for children. It’s also very easy to bring Vitamin A to toxic levels in the body from extended use. Cod liver oil contains the lowest concentration of long-chain Omega three fatty acids, that the body requires for good health. It is the most inexpensive of all fish oils, but that’s for a good reason. Health food grade fish oil has a higher standard than cod liver oil but has many similar qualities. The packaging will usually indicate the specific species of fish the oil is made from, which is more reassuring for customers and will also give a better idea of the levels of mercury. This grade of fish oil contains a higher concentration of long-chain Omega three fatty acids that are beneficial for the human body. And although the level of Vitamin A and other potentially harmful ingredients are lower, it’s generally not recommended in high doses. Pharmaceutical grade fish oil is the highest possible grade. It is ultra-refined and safe to take in higher concentrations. Rich in long-chain Omega three fatty acids, this fish oil is in its purest form, which is free from mercury and other potentially harmful ingredients. The freshness of the oil is equally important here though, as this type of fish oil should not have a smell or aftertaste. Fresher oils are also much less likely to cause negative side effects. Which is why I personally now use these fish tablets. I have not found any other company that takes as much care over the freshness and purity of their fish oil. Although this grade of fish oil tends to cost more than all other types, you will not have to worry about toxicity levels in high doses, or bodily reactions as you would from the lower grade fish oil. 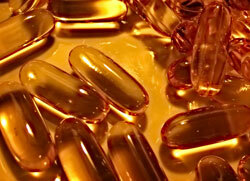 Home » How To Choose » Are All Fish Oil Tablets the Same?